Best-selling author Urvashi Pitre is back with Air Fryer Revolution, the follow-up to her hit cookbook, Every Day Easy Air Fryer. In this all-new collection of 100 delicious recipes, Urvashi shows you how the revolutionary air fryer makes home cooking easier than ever. Air fryers are taking the country by storm, thanks to the device's fan-forced heat, so there is no need for pre-heating, and food cooks with a minimal amount of oil. The recipes can all be made in 60 minutes or less, many in as little as 30 minutes, so you cut back on energy bills and avoid heating up the whole kitchen. The air fryer saves space too, making it perfect for tiny city kitchens, dorm rooms, and RVs. With Urvashi's impeccably tested recipes, you start with fresh ingredients and let the cooker d the hard work, and you'll never get bored with Smoky Ham and Cheese Party Biscuits, French Garlic Chicken, Russet and Sweet Potato Gratin, Queso Fundido, Korean Beef Tacos, Bang Bang Shrimp, and more. 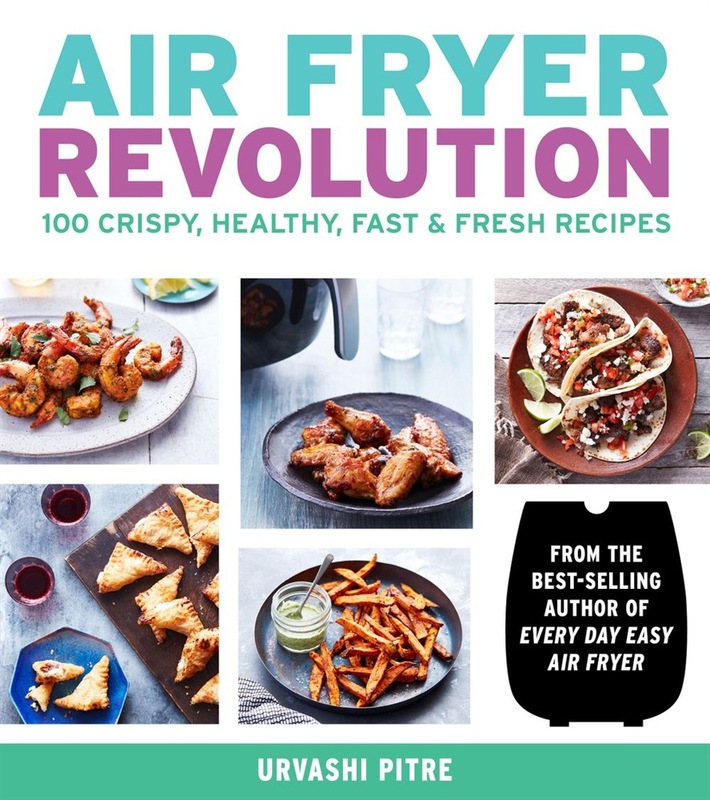 Acquista Air Fryer Revolution in Epub: dopo aver letto l’ebook Air Fryer Revolution di Urvashi Pitre ti invitiamo a lasciarci una Recensione qui sotto: sarà utile agli utenti che non abbiano ancora letto questo libro e che vogliano avere delle opinioni altrui. L’opinione su di un libro è molto soggettiva e per questo leggere eventuali recensioni negative non ci dovrà frenare dall’acquisto, anzi dovrà spingerci ad acquistare il libro in fretta per poter dire la nostra ed eventualmente smentire quanto commentato da altri, contribuendo ad arricchire più possibile i commenti e dare sempre più spunti di confronto al pubblico online.